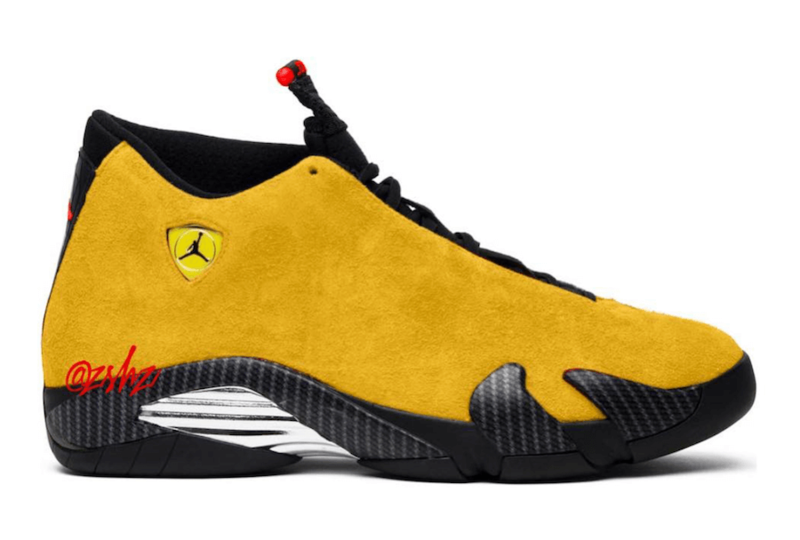 After releasing the Air Jordan 14 Ferrari “Chilling Red” way back in 2014, Jordan Brand is aiming to release a new Air Jordan 14 Reverse Ferrari colorway during the upcoming year of 2019. The shoe will basically feature a combination of University Gold, Black, and University Red color Scheme. As far now, no images have been seen over the internet but this particular kick is rumored to be released in a Gold upper complemented with Black carbon fiber overlays. Other details include Red contrasting accents throughout its build. Retailing for $200, check out the rendering below by @zsneakerheadz of what to expect and grab a pair for yourself on Cinco de Mayo, May 5th at any select Jordan Brand retailer.